Ah, Italian wines. Don’t they just conjure up romantic images of rolling vineyards that spread for miles across the countryside, with the soft glow of orange light shimmering through the olive trees at sunset? Or maybe it’s Dean Martin crooning away in a small cafe with tables covered in red and white checkered tablecloths. Whatever the imagery, wine and Italy just go together. The Westside Whiners brought Italy — at least the Piedmont and Tuscan regions — to Fort Lauderdale last weekend. The Whiners are a group of passionate wine enthusiasts on the west side of town. 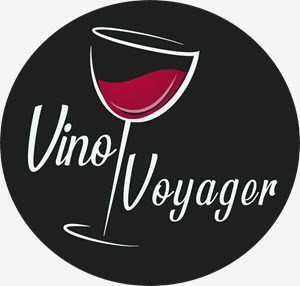 They host monthly tastings with varying themes, which offer an opportunity to explore different varietals and regions and converse about wine without the concern of catching sidelong glances from others who deem you a wine geek. Although I am on the east side of town, the Whiners graciously welcomed me and my husband to the event. It was held at Cafe Primavera in Fort Lauderdale, which prepared some delectable appetizers to pair with the wines. All Whiners were asked to pick any bottle from either Piedmont or Tuscany. It could cost no less than $40 retail. It must be rated with at least 90 or more points. And, it had to be in a brown bag. Hint: don’t throw away those wine sleeves you get at your local retailer. They come in handy for wine tastings! After we arrived, the event host, Hermes, gathered the bagged bottles, disappeared in the back, and organized all of the bottles into pairs. Although I was initially suspect, wondering how a random sampling of wines could result in a good balance that made pairing possible, it worked relatively well. From the Tuscan region, we had a good variety of Chianti, Brunello, and Super Tuscan. From Piedmont we had the three Bs: Barolo, Barbaresco and Barbera. Vintages represented at the tasting ranged from 1999, the oldest, to 2012, the newest. I think all told, we had somewhere around 25 bottles, not counting a couple of starter whites to kick off the party. Oh, and there was one corked bottle of the bunch, so that doesn’t really count either. Whatever, after 20 bottles, who’s really counting anyway. Before we go any further, however, I thought I might share some quick facts about both regions to prime your pump. Or, if you’re already a pro, you won’t hurt my feelings if you skip ahead! Brunello, made from the Sangiovese grape, must be aged in the bottle at least 4-5 years before it is released. The Riserva must be aged at least 6 years. Chianti, Italy’s most famous wine, accounts for about 8 million cases a year. Like Brunello, it is also made from Sangiovese, but it is also blended with other grapes. Depending on whether it is a basic, Classico, or Riserva, the percentage of Sangiovese increases, as does the aging requirement. A Super Tuscan is an Italian blend equivalent to the French Bordeaux, featuring varietals such as Cabernet Sauvignon and Merlot. Produced from the highly prized Nebbiolo grape, both Barolo and Barbaresco reign supreme in Piedmont. Barolo requires wines be stored for 3 years before release, whereas Barbaresco only requires 2 years. The Piedmont and Tuscany regions had a banner 2010 year. Buy and age, or drink if you like them young! Trivia aside, let’s get to the core of the evening’s festivities — drinking wine! Of the whites, I loved the Arneis from Cascina del Pozzo, a winery of the Roero, an important zone in the northeast corner of Italy’s Piedmont region. Arneis, which literally translates to rascal, is aromatic and floral — hello apricot, pear, and honeyed flowers — and it is typically dry with plenty of body. The Cascina del Pozzo kept getting better with every sip. It is a great choice for an aperitif on a warm summer day, or pair it with lighter foods, maybe some shrimp on the barbie. At brown bag tastings, it’s interesting to see how some people gravitate toward older vintages, and some, like myself, prefer the younger, fresher stuff. Because I lean toward the newer vintages, I liked the revered 2010 vintage of Chianti Classico from both the Castello di Bossi and the Podere Le Boncie Le Trame wineries. The latter had been pitted against a 2000 vintage, of which the majority voted in favor. However, I prefer the more fruit-forward 2010 and found the group-favored 2000 to have an earthy, almost dusty characteristic. Although the 2010 vintage of Brunello is being heralded as one of the greatest ever (Chianti also benefited from the perfect weather conditions of 2010), the 2009 vintage was far from a wallflower at the event. I particularly enjoyed two 2009 Brunello selections — the Renieri Riserva and the La Rasina. If you want a sneak-peek of how the 100-point 2010 Renieri might drink, try its 2009 sidekick! Admittedly, this was the bottle I brought but I promise there was no cheating here. My hands-down favorite, and an overall crowd pleaser, was the Le Due Lune di Ottobre. It is a Rosso Monferrato, which is from the the Monferrato area that consists of a series of hills in the southeast corner of Piedmont. For those foodies out there, this region is also know for its production of truffles. Le Due Lune was made mostly of Barbera, but it is also possible to find Rosso Monferrato made from other grapes native to the Piedmont region, such as Dolcetto, Freisa, and Grignolino. I was impressed with the wine’s layers and layers of luscious dark fruit and hint of herbal notes. The best in show of the night was a 2008 Terre da Vino “Essenze” Barolo from the Piedmont region. Unfortunately, you had to be quick on the draw to get a taste of this one because once I got to the bottle, not a drop was left. Wah wah. So, I can’t weigh in on this one. But an empty bottle is usually a well loved bottle so I’ll leave it at that. As Russ, our master of cermonies so aptly stated, “Having to choose between Tuscany and Piedmont is a bit like Sophie’s Choice. Tuscany gives us more variety. Piedmont gives us Barolo, and it doesn’t get much better than that.” Amen, Russ. Now, for those brave souls who want to browse through the entire collection of reds we tasted, click on a thumbnail image below to launch the gallery. The great knowledge of wines aside, you need to be an author!!! I just love your way with words. The insight into these wines is just a bonus!